I’m very pleased to announce that three new publications are slated for publication later in 2013. Walmart is not only the world’s single largest retailer and private employer, it is also a crystallization and an agent of a broader paradigm shift towards “securitization”: the convergence of financial and security-oriented logics of risk-management. 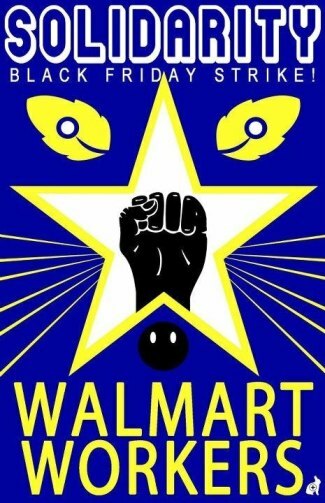 This paper examines the way Walmart mobilizes and manipulates risk to cultivate profit and power and to transform the social and cultural politics of those who fall within its orbit. Walmart emblematizes and advances a paradigm securitization and offers a “risk free” consumer space as a refuge in an uncertain world, yet it ultimately contributes to systemic insecurity and economic anxiety. A preliminary version of this essay can be found on my academia.org site. It builds on some of the ideas Scott Soneman and I explored in Wal-Mart: The Panopticon of Time (2010). This essay seeks to draw connections between, on the one hand, the financialization of the global economy and everyday life in the post-Bretton Woods era (post-1973) and, on the other, the simultaneous rise to prominence of discourses of creativity in the “new economy.” I argue that the financial sector both orchestrates a fundamentally unequal global division of creative labour, and lays claim to an inherent creative power and a duty to unleash “creative destruction” on social and economic life. I suggest that the idea of derivative can help illuminate the wooly rhetoric of “creative capitalism,” “creative cities” and the “creative economy,” as well as the stark realities of precariousness and self-exploitation that animate creative labour today. Not only is the derivative the emblematic technology of a financial system based on the quasi-scientific management of risk, it also names creativity’s antonym, and the tension between the two allows us to retheorize both the financial system and the idea of creativity itself. A preliminary version of this essay can be found on my academia.org site. In August, The noted literary magazine Wasafiri will be publishing an edited version of my interview with Hari Kunzru, one of my favourite novelists and essayists. Hari is author of The Impressionist (2002), My Revolutions (2007) and, most recently Gods Without Men (2012). In this interview, Hari and I talk about a range of topics, including the genre of historical fiction, writing about finance capital, the role of the global(ized) author, racism, and the class interests of writers. The complete interview will be published elsewhere at a later date. A preliminary version of this essay can be found on my academia.org site.